Designer 2015 home offers the FINEST upgrades (diagonal marble + wood floors, custom pool w/ new picture window screen), spacious 3 CG. Serene South facing lot w/ Water & preserve views! Most popular (Salerno) floorplan: 3BR + Office. Brand new Full House Generator. IMPECCABLY maintained and better than new! Naturally light filled interior. Open kitchen w/ breakfast bar, gas range, pantry. Energy efficient: Natural gas + Impact w/d = Low insurance!. Luxe Travertine patio, salt water pool w/fountains. 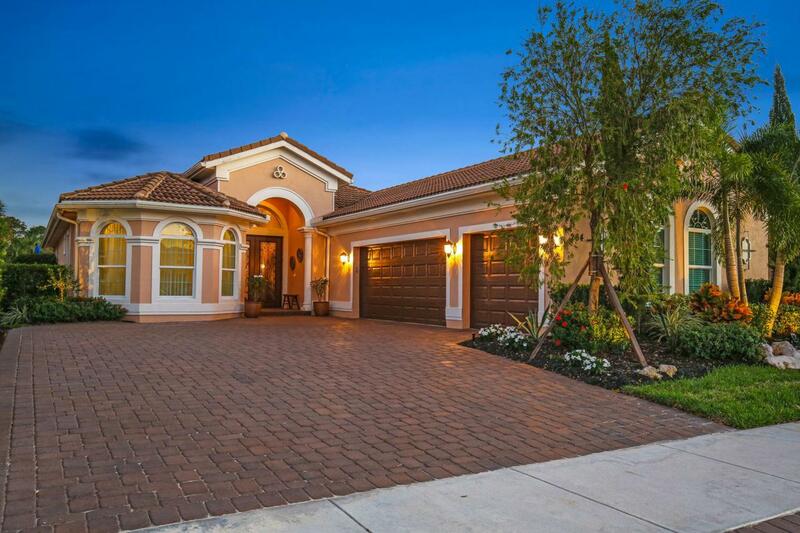 Jupiter Country Club is North County's newest Golf community offering a resort lifestyle without high fees! Signature Greg Norman Golf w/ reciprocal privileges, fitness, tennis, Pools, formal/casual dining. Minutes to best beaches, schools, shopping, dining and cultural venues. Exceptional!